In the past few years, we've seen enterprises seek to accomplish digital transformation goals through software and applications. But, in a world that is changing so quickly, many are beginning to realize they need an agile infrastructure that can scale and adapt to support transformation initiatives if they are to be successful. Software may have eaten the world, but in 2019 there will be major interest in deploying next-generation, intelligent hardware. Specifically, we'll see deployments of new multi-rate switches and hardware supporting 802.11ax wireless capabilities, which will serve as the foundation for an IoT-driven world. All of this is occurring alongside the much-hyped transition to 5G, which is creating a push for infrastructure refreshes. Alongside the rise of intelligent hardware, we'll see gains in intelligent networking. The networks of 2019 will leverage automation, artificial intelligence and machine learning to better understand users, devices, applications and more. By processing and understanding more data on how users and devices behave on networks, it will be easier to enhance network operations through automation, improving performance, user experience availability and security. Industry pundits have been hyping IoT for years, it's a perennial trend. By now, we can all recite the benefits, the use cases, and the possible innovations. But despite the fanfare, we still haven't seen widespread, meaningful adoption of IoT. Why? It in part comes down to fear - IoT (unavoidably) comes with both risks and opportunities. Smart enterprises will improve defenses this year by segmenting networks, deploying analytics tools with packet capture and robust filtering, and strengthening security policies. As all the CES headlines heralded this year, 5G is here. Multiple mobile carriers now have 5G networks up and running, promising faster download speeds, reduced latency, and greater bandwidth. But 5G will not replace Wi-Fi anytime in the near future (if ever) for a variety of reasons. Wi-Fi continues to have a better price per performance, there's a lack of 5G devices on the market, and the cost of upgrading cellular networks is simply too high for many enterprises. Not to mention, Wi-Fi spectrum is actually growing as the FCC recently expanded the 6GHz band, which will essentially double capacity. Meaning, not only is Wi-Fi nearly ubiquitous, it's only getting better. Regardless of industry - retail, healthcare, education, hospitality - every organization will tell you its main priorities are customer experience and embracing digital. Yet what every organization doesn't know is that it's the network that holds the key to providing an experience that's reliable, fast, and personalized. In 2019, it will be the enterprises that prioritize infrastructure that rise to the top. Abby is VP of Product Marketing at Extreme, where she heads up the team that defines the market strategy and messaging across the portfolio. 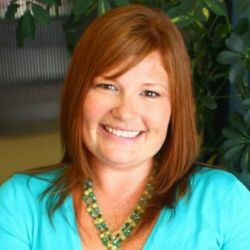 With 20 years in the Networking industry, Abby brings a passion for connecting people, ideas, and devices together to create compelling technology stories. Previously, she led product management and marketing for Aerohive Networks, where she focused on cloud architecture, security, and networking solutions. Abby also helped to build and support network security and routing products at companies such as Concentric, XO Communications, and Juniper Networks before joining Extreme in 2018.